I am happy to say that all of the booth spaces are full for the Red Door Market! We have a full house of wonderful artists, but they can email me if interested in next year's Market or a rare cancellation this year? 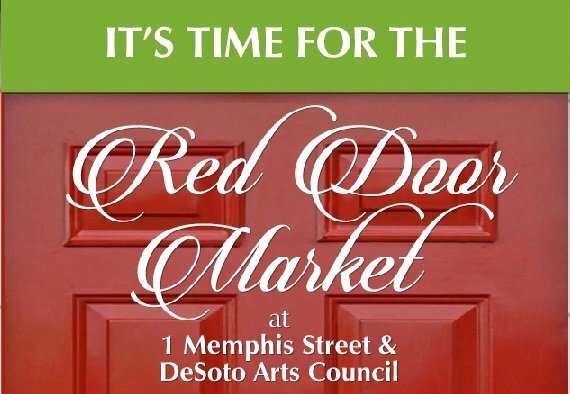 RED DOOR MARKET - 2018 Location: #1 Memphis Street & DeSoto Arts Council Hernando MS Event Date: November 11, 2018 Application Deadline: October 1, 2018 (extended if space is available) Applicants will be notified via email regarding acceptance no later than October 10, 2018 REQUIREMENTS: * ALL ITEMS MUST BE HANDMADE * 3 photos (booth shot NOT required) * Non-Refundable $20 Juried Fee * Booth Fee $75 indoor booth - $65 for DeSoto Arts Council members (26 indoor booths available) $45 outdoor booth (must supply your own tent) - $35 For DeSoto Arts Council Members * Description of each Art/Craft, including the creating process * Website, Facebook Page, Etsy Shop, etc. (if available) * You must provide a gift item(s) from your booth totaling at least $20 prior to November 1st. These items will be part of the silent auction offered at the Open The Red Door Preview (see below). This should be one of your most unique, original items that will entice the Preview audience to bid on your item, as well as shop the Red Door Market and spread the word to others about the items available. 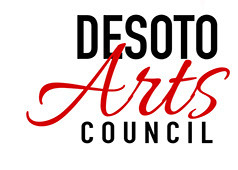 Deliver or mail to The DeSoto Arts Council Tuesday - Friday from 10:00 - 4:00. If delivery poses a problem, contact Pam Turman at (901) 550-5186. The Red Door Market is a fun shopping experience offering unique Handmade gifts, including jewelry, fine art, pottery, food, wood working, handwovens, bath & beauty, home decor, handbags, candles, and more! It will be held from 11-6 on Sunday, November 11, 2018 at 1 Memphis Street, a fully restored 1930s cottonseed warehouse and the DeSoto Arts Council, the renovated Historic City Hall building. These locations are directly across from each other which allows continual shopping from one to the other. 1 Memphis Street DeSoto Arts Council 2467 Memphis Street 2465 Highway 51 South Hernando MS 38632 Hernando MS 38632 Open The Red Door Preview event will begin the Market on Saturday evening, November 10, 2018 at 6:00 p.m. to allow attendees to bid on the Silent Auction items while enjoying music, food, beverages and fellowship. All vendors will be given one ticket to attend the Preview Event. This event will be held at the home of Pat & Pam Turman, 161 W. Northern Street, Hernando MS. Set up will begin Sunday morning at 9:30 AM, November 11, 2018. Unless otherwise decided, dismantling of booths will begin NO EARLIER than 6 PM that evening. Wall booths are approximately 8’ x 8’, and center aisle booths are approximately 6’ x 9’. Outside booths are 10’ x 10’ (you must provide your own tent). You will need to provide your own tables/chairs/displays - no chairs or tables are provided. Nothing can be displayed in front of your booth and nothing can be stored behind your booth. There must be a cloth covering your table to the floor in front and on sides so nothing stored under the table can be seen. You must also bring a rug/mat to cover and protect the floor under your displays & tables. We are responsible for any damage to the floor. This will be a promoted event registered with the Mississippi State Tax Commission. 7% Sales Tax must be collected by each vendor and will in turn be collected by the DeSoto Arts Council at the end of the event for payment to the State of Mississippi.